Here’s the unfortunate truth: women often aren’t given the tools or education they need to support themselves financially, especially when we’re young. Rather, we’re conditioned to lean on other people to support us. Even today, that’s how many women are raised. As a result, we tend to adopt certain negative spending habits, like living without a budget or with bad credit, and in the process, we hamstring our own futures. The good news, however, is that sound financial management is a skill we can develop on our own. In my own life, committing to developing my own skills in that department was one of the most important choices I ever made. It’s crucial, ultimately, if you want to take control of your own future and set yourself up for financial success. In order to truly achieve that, here are the three biggest areas of financial literacy you should focus on as a young woman. When it comes to setting up your future for financial success, there might be nothing more important than building credit. It’s how you’ll qualify for a mortgage down the road, for example. It’s how you’ll buy a car, and it will prove essential should you ever want to start a business. Whether you intend on buying a house or not, however, building a solid credit history and maintaining a high credit score will dramatically improve your quality of life. If you’re building your credit from scratch, a good option is to apply for a secured credit card, which is a card backed by a cash deposit made upfront with the deposit amount typically being the same as the credit limit. From there, pay off your card on time each month until you can qualify for a better card without a deposit and with better benefits. That’s one way, at least, to build your credit over time. You can also apply for a credit-builder loan and become an authorized user on someone else’s card. It may sound simple, but you’d be surprised how few people live within their means. The reason? They fail to set up and abide by a reasonable budget. Many simply don’t know how. The good news is, setting up a budget is actually incredibly easy. You start by writing down how much money you bring in — your income — and next plot out how much you need to spend each month: your outcome. This includes basic necessities such as food and rent, as well as non-essentials such as entertainment and the occasional vacation. Your goal should be to determine how much money you need to live on, set aside a responsible amount for “fun,” and still have money left over to save. Don’t put this off. It’s a matter of living smart versus living recklessly. Equally critical when it comes to budgeting, however, is establishing a set of financial goals to work toward. 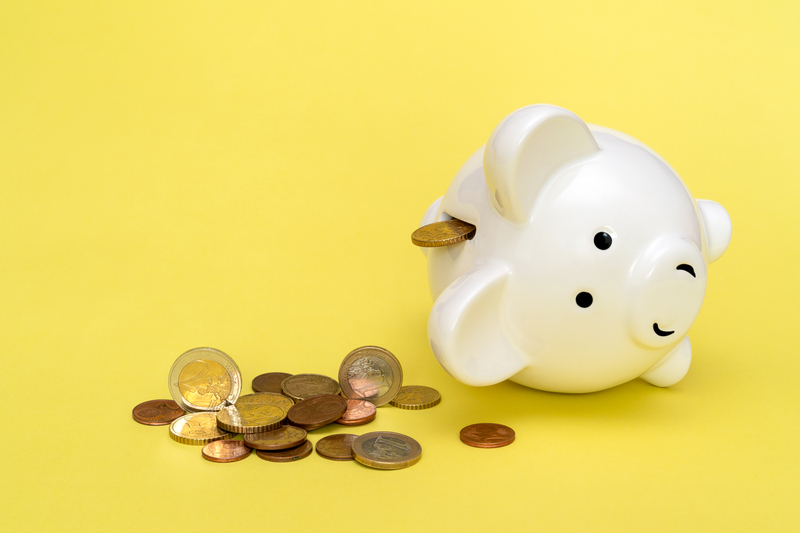 It will be easier to save money each month, after all, if you’re saving in service of affording a new house, a new car, or paying off your student loans. But beyond your personal savings, women can and should take this a step further and set financial goals that implicate our professional lives, too. If your company offers a 401K matching program, max that out. Furthermore, set aside time to sit down with your HR rep or manager to affirm what opportunities for internal elevation — and subsequent salary increases — are available to you in your career path. If there aren’t such opportunities available, at least having that knowledge equips you with the information you need to seek other more prosperous opportunities. This knowledge will also help you set reasonable goals for retirement: you should know how much money you’ll need to save each year to retire comfortably when you’re older. It’s important to do all this even if you’re in a committed relationship. Perhaps the chief mistake I made early on in my life was failing to take control of my financial destiny. I relied on my partner to handle the finances. Too many of us do that. We swipe debit cards powered by another person’s income, and we don’t even know how to balance our own checkbooks. Don’t make that mistake. Even if you’re in a committed, more traditional relationship, you must establish that relationship as an equal playing field. You must be equipped to make financial decisions in the best interest of your shared future. That means talking openly with your partner about finances. For some couples, that means having separate checking accounts. However you go about designing your life and your financial goals, it is universally and timelessly important to educate yourself so that you have the awareness you need to live a strong, smart financial life and make smart financial decisions. To do so is to give yourself the gift of independence and potential. To neglect this element of life is to hold yourself back — perhaps permanently. Don’t make that mistake. Assume control over your financial destiny. Taffi Dollar is a gender strategist and a co-pastor at World Changers Church International. She is also the CEO of Arrow Global Entertainment, an author, and motivational speaker.